Video clip synopsis – In 1836 Charles Darwin visited Australia. He observed at first hand the impact of the onset of invading humans on the indigenous population. Broadband MP4 darugnation_bb.mp4 (4.9MB), suitable for iPods and computer downloads. 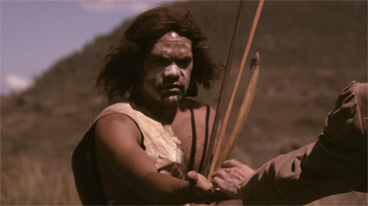 Darwin meets Aborigines from the Darug Nation is an excerpt from the television documentary series, Darwin’s Brave New World, produced in 2009.